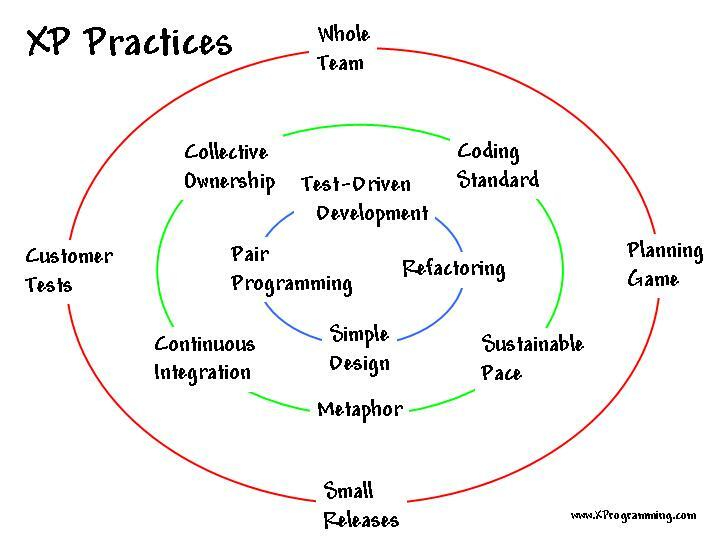 Note: This article is updated at Extreme Programming at a Glance. Statistics about the number of tests, stories per iteration, etc. For a visual of the XP practices, see a picture of the Practices and Main Cycles of XP. The following are phases of an XP project life cycle. For a visual overview, see Agile Modeling Throughout the XP Lifecycle. Please provide a more in depth details of the processes so that they can be adopted for practical use. Would like to read some stories where Agile, XP. What scenarios or project types should avoid these methodologies? eXtreme Programming Explained by Kent Beck does the job. You can also check out http://www.extremeprogramming.org. The rule of thumb is that if you know exactly what you need to build (i.e. you’ve built the same thing many times before), you don’t need agile. The book Scenarios, Stories, and Use Cases by Ian Alexander provides a nice frame for analyzing your meta-process: evolutionary, incremental, and high risk. I don’t look at it as avoiding methodologies — instead, I look at it as what tools from the toolbox can I borrow that work for me. For example, I like using stories to put requirements in context and for prioritizing value.